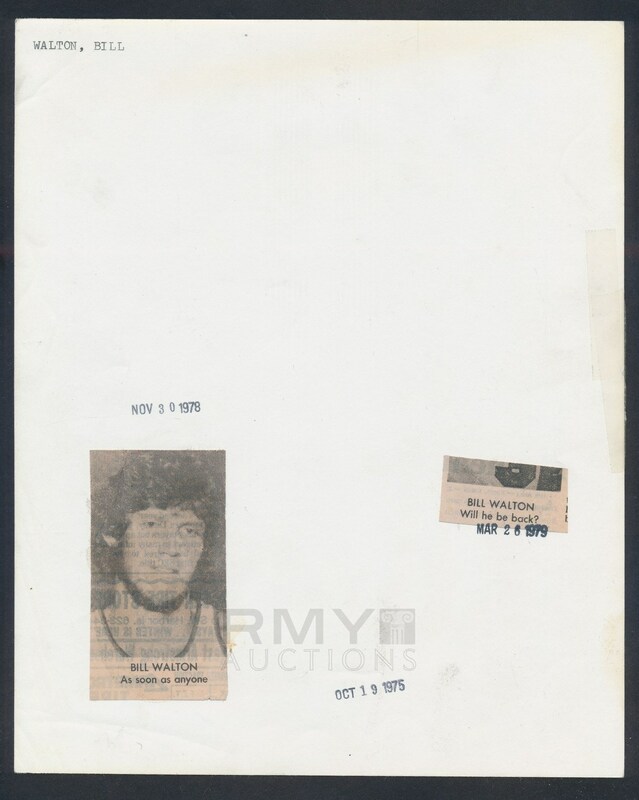 Lot # 15: 1974 Bill Walton, "His 1974 Topps Rookie Card Image" Team Issue Rarity! 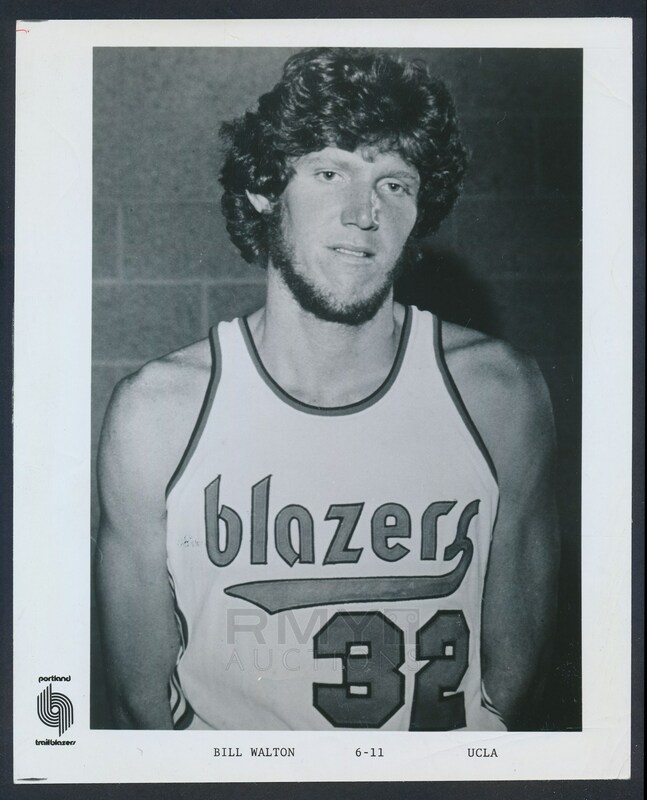 1974 Team issued photograph of young rookie Bill Walton of the Portland Trailblazers in uniform and posing for the camera. His most famous image ever taken, this is the one that appears on his 1974 Topps rookie basketball card with this being the only original example we have ever seen! The photo is quite clear and is completely as issued, which would make it a "Vintage 1" by our standards. It is unknown how PSA would handle this example, but it is likely they would assign it a "Type 3". Still the only original 1974 example that we have seen in the hobby and a team issued rarity!